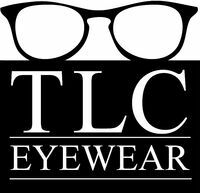 At TLC Eyewear, we offer complete eye exams, as well as cataract and glaucoma screenings by certified optometrists and opthamologists. Complimentary TLC for every customer! Healthy vision is something that can't be taken for granted. It's important to have regular eye exams and keep your eye prescription updated to keep your vision crisp and clear. There are doctors on site that offer complete eye exams, as well as cataract and glaucoma screenings. Our certified eye care staff will take the time to thoroughly answer any questions you may have. CALL US TODAY TO SCHEDULE AN APPOINTMENT FOR YOUR NEXT EYE EXAM! Wearing glasses doesn’t have to harm your sense of fashion or slow down your lifestyle. In fact, the right eyewear can improve both! Our expertly trained staff will take the time to understand your specific eye wear needs, including prescription sunglasses, bifocals, and trifocals. We’ll explain your lens options including Crizal no-glare, transition lenses, and digital progressive lenses. Finally, we'll help you find the perfect frames - never with any sales pressure.